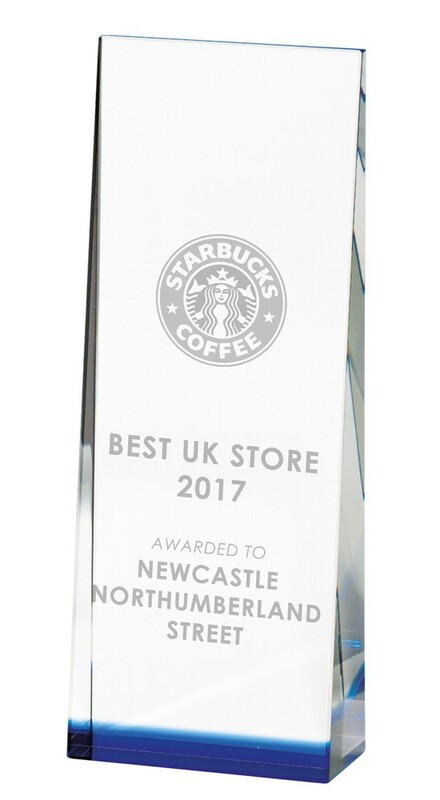 Engraved Legend Premium Crystal Award. Available in 3 sizes, 160mm, 190mm and 210mm high. Premium crystal wedge with blue tinted bottom, complete in a presentation box. You can engrave with your logo and/or text. Additional charges apply.